This means that new species on the same island—even though they look quite different—are more closely related to each other than to ones that look like them on other islands. These specific repeatable adaptations seriously contradict the random results expected by evolutionary theory. Second, the mechanism for speciation does not appear to be random mutations parsed out among species through a struggle to survive. Rather, Gillespie thinks “that the Ariamnes spiders have some sort of preprogrammed switch in their DNA that can be quickly turned on to allow them to evolve rapidly into these successful forms. 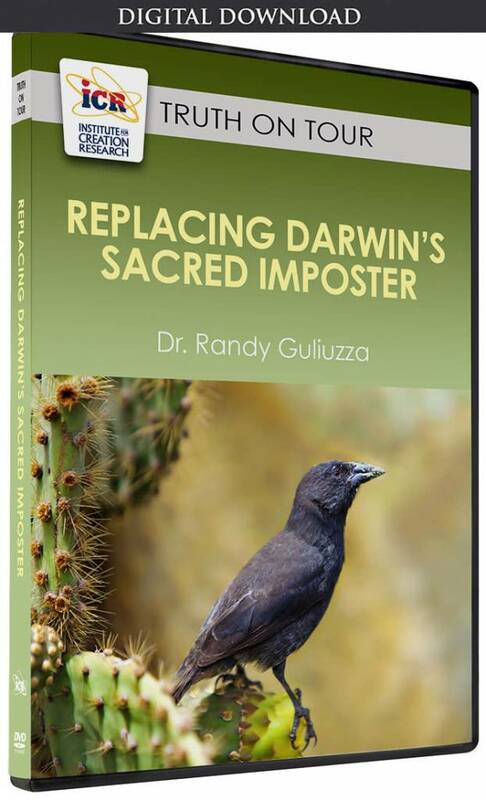 But how that process might work is still unclear.” A “preprogrammed switch” must, by definition, be programmed, i.e., designed into the DNA itself before any trait changes occur. Suppose that research wasn’t distracted by the metaphor of “selective pressure.” Perhaps innate mechanisms—that are still awaiting full description by researchers—enable organisms to track environmental changes which are expressed in the coloration of these spiders. Isn’t it reasonable to investigate whether these spiders may have innate sensors for environmental conditions, and similar internal if-then logic mechanisms controlling the expression of specific genes during embryonic development and as adults, so that they repeatedly produce similar responses which fit certain niches? The result is the expression of specific traits enabling these creatures to tightly and rapidly follow environmental conditions which is consistent with the Continuous Environmental Tracking model proposed by ICR. By applying engineering causality to several examples, thinking and research is liberated from the mysticism of “selection pressure” to see creatures actively tracking environmental changes. Staff Writer. Hawaiian stick spiders re-evolve the same three guises every time they island hop. Science News. Posted on sciencedaily.com March 8, 2018, accessed March 9, 2018. Gillespie, R. G. et al. 2018. 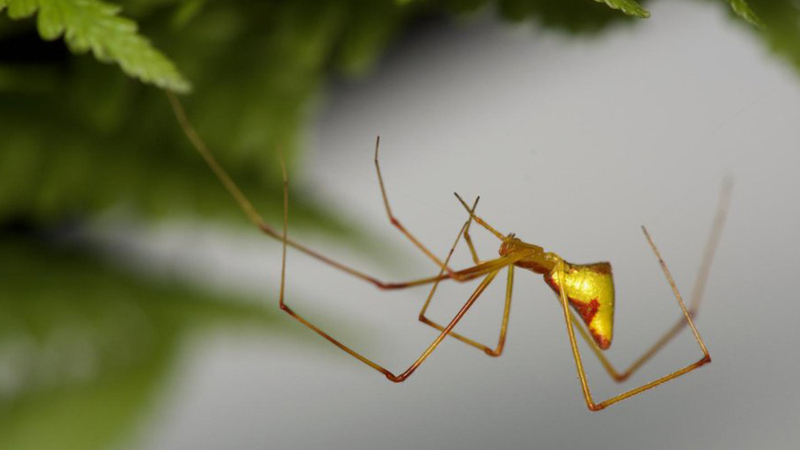 Repeated Diversification of Ecomorphs in Hawaiian Stick Spiders. Current Biology. 28 (6): 941-947. DOI: 10.1016/j.cub.2018.01.083. Guliuzza, R. J. 2018. Engineered Adaptability: Engineered Adaptability: Epigenetics—Engineered Phenotypic ‘Flexing.’ Acts & Facts. 47 (1): 17-19. Stage Image: Golden Ariamnes spider. Stage Image Credit: George Roderick © 2018. Used in accordance with federal copyright (fair use doctrine) law. Usage by ICR does not imply endorsement of copyright holder.